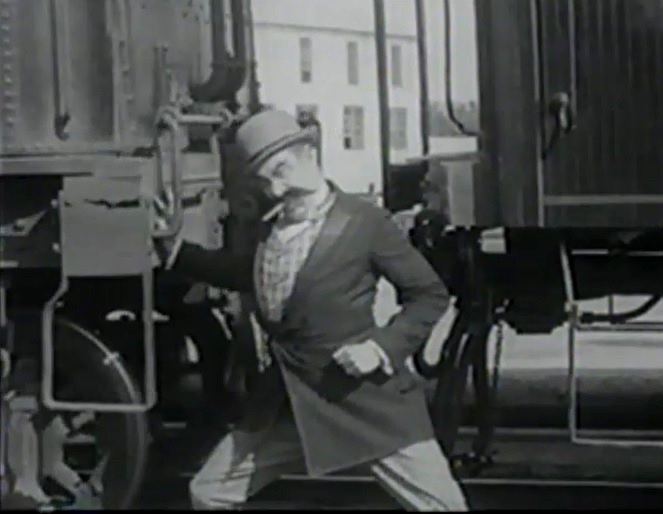 "Barney Oldfield's Race for a Life" is a short comedy directed by Mack Sennett. The film is included in our program to illustrate the contributions of our star Helen Holmes. This is one of the first roles of Helen Holmes, in which she plays a village beauty. She became the audacious star of "The Hazards of Helen" a year and a half later, acting as the heroine of numerous railroad adventures. She may have gotten inspiration from "Barney Oldfield's Race for a Life" and the race to save Mabel Normand. 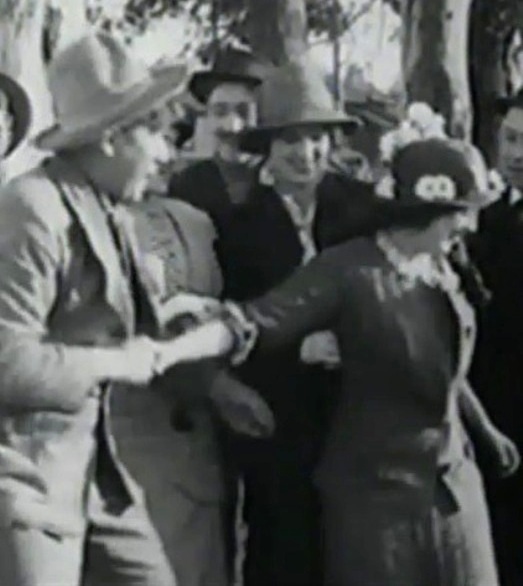 Mack Sennett courts bashfully Mabel Normand in "Barney Oldfield's Race for a Life" (1913). Mack Sennett courts bashfully Mabel Normand as Helen Holmes looks on in "Barney Oldfield's Race for a Life" (1913). Ford Sterling courts forcefully Mabel Normand in "Barney Oldfield's Race for a Life" (1913). 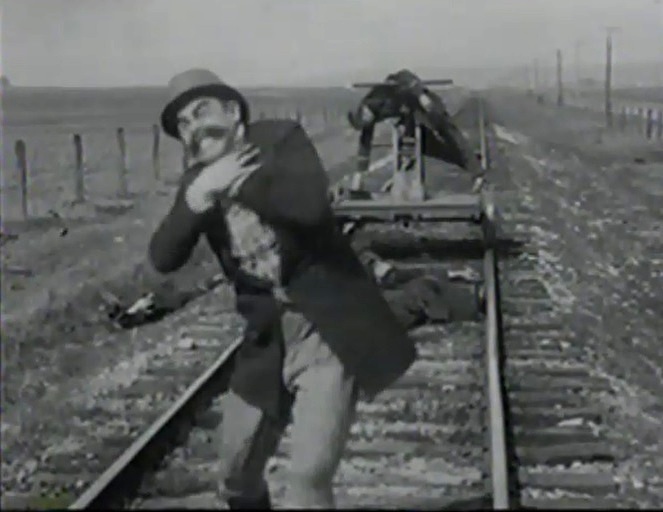 Ford Sterling has Mabel Normand chained to the tracks in "Barney Oldfield's Race for a Life" (1913). Helen Holmes looks on as Barney Oldfield talks to Mack Sennett in "Barney Oldfield's Race for a Life" (1913). 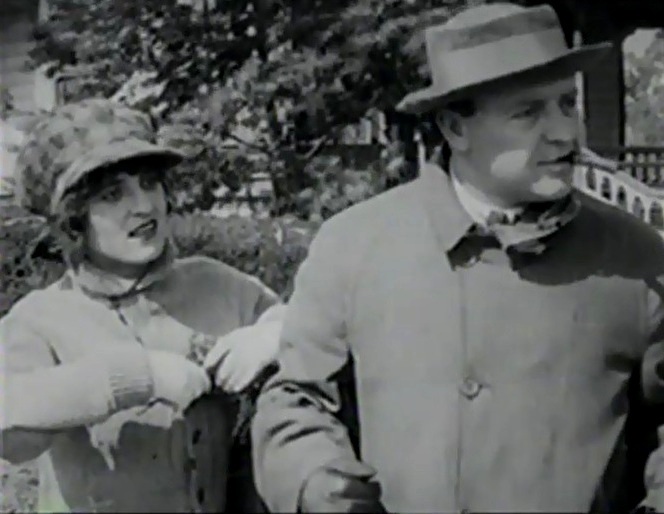 Barney Oldfield bids goodbye gallantly to Helen Holmes in "Barney Oldfield's Race for a Life" (1913). 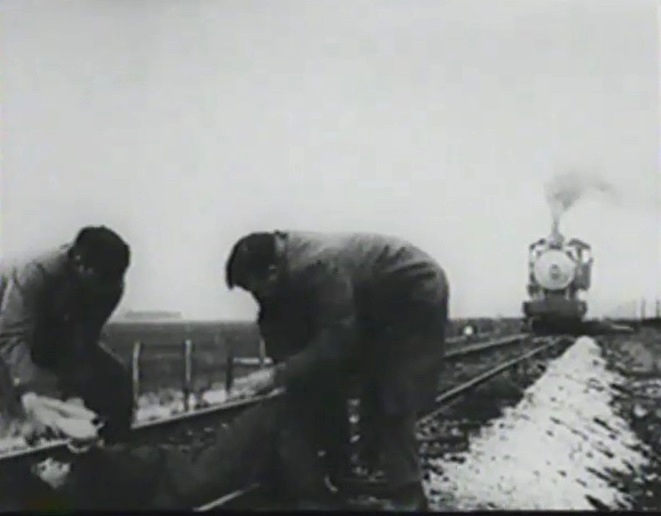 Barney Oldfield and Mack Sennett chase an engine in "Barney Oldfield's Race for a Life" (1913). 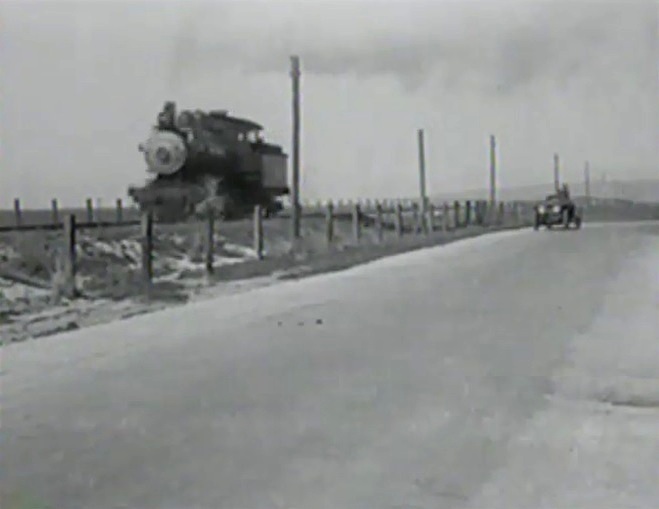 Ford Sterling pushes a locomotive with one hand in "Barney Oldfield's Race for a Life" (1913). Barney Oldfield and Mack Sennett catch up with the engine in "Barney Oldfield's Race for a Life" (1913). 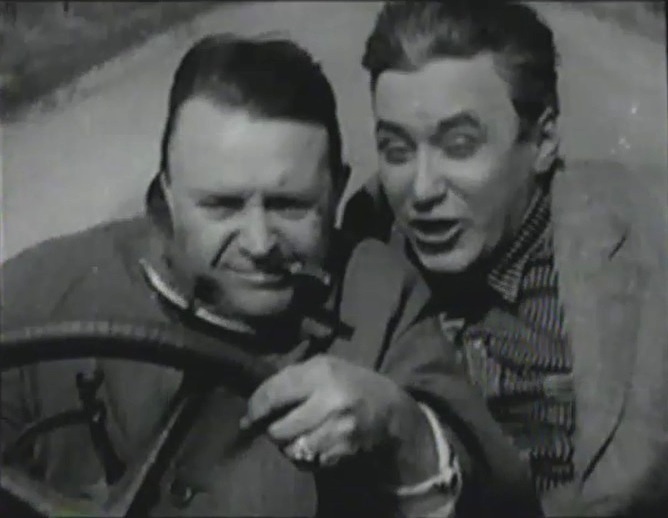 Barney Oldfield and Mack Sennett are in a race against time in "Barney Oldfield's Race for a Life" (1913). Ford Sterling strangles himself in "Barney Oldfield's Race for a Life" (1913).